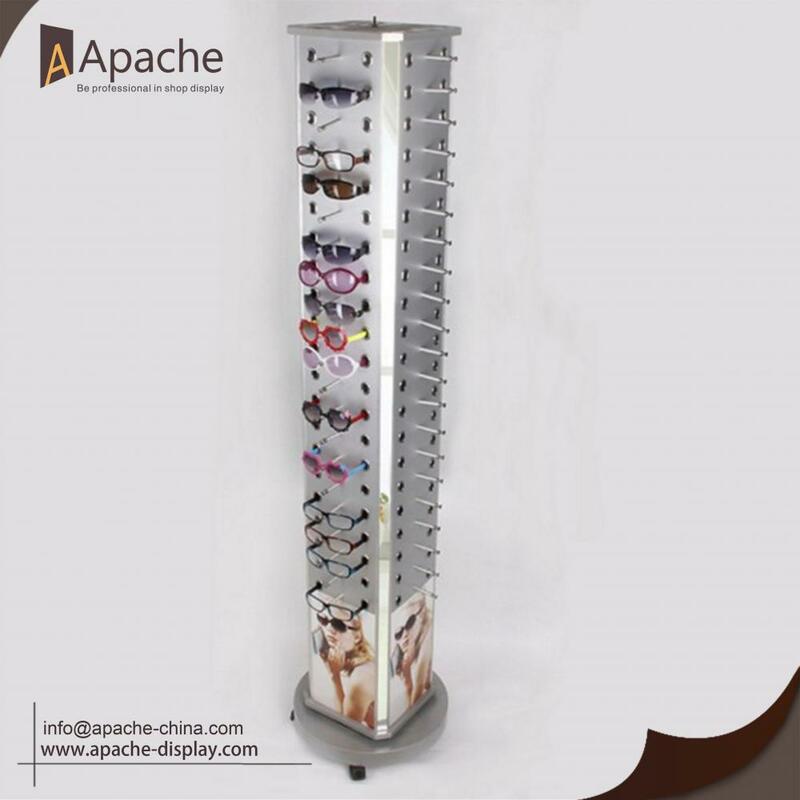 This Rotatable Sunglasses Floor Display is very popular for display sunglasses. There are two mirrors on the top of the Display Stand for customer to look. Rotatable design is very convenient for selecting the glasses. Its innovative design allows it to fit into small spaces and has good display effect. If you are intersted in thiseyewear display stand, feel free to contact us, we will be verry happy to have further communication with you. 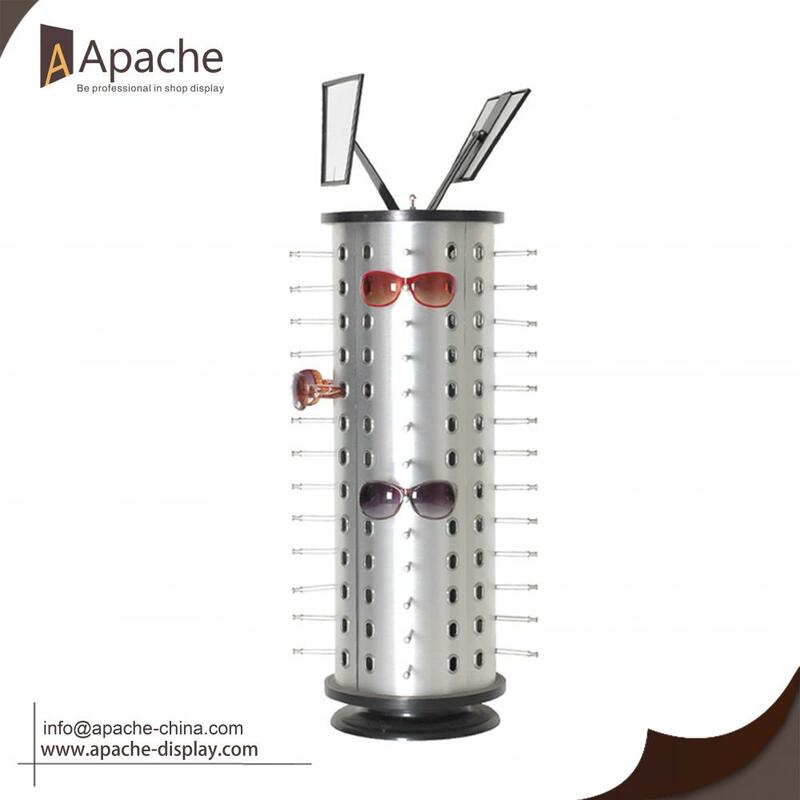 Looking for ideal Rotatable Sunglasses Floor Display Manufacturer & supplier ? We have a wide selection at great prices to help you get creative. 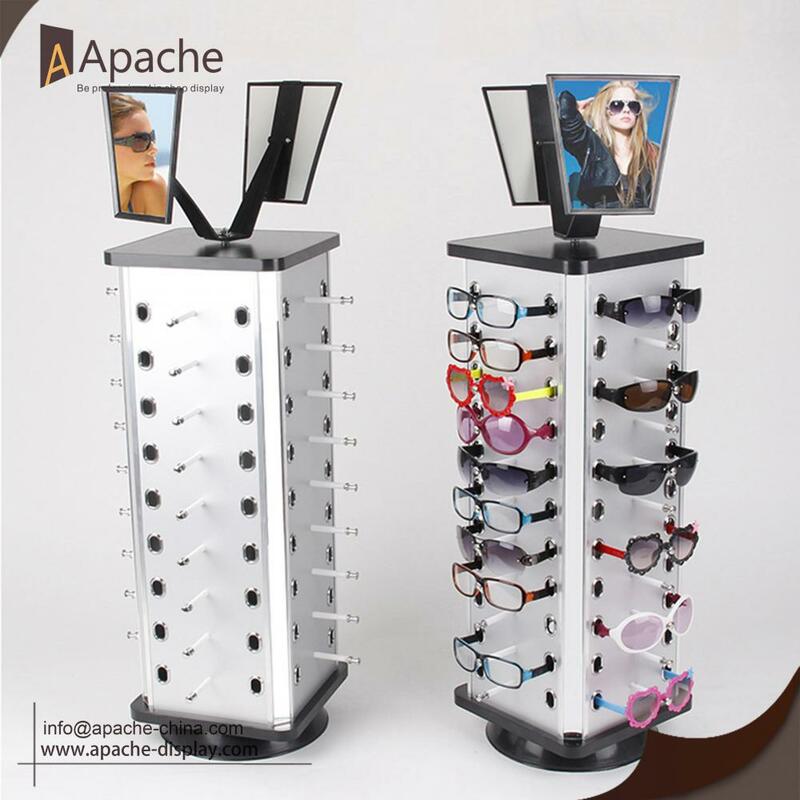 All the Sunglasses Floor Display With Mirror are quality guaranteed. 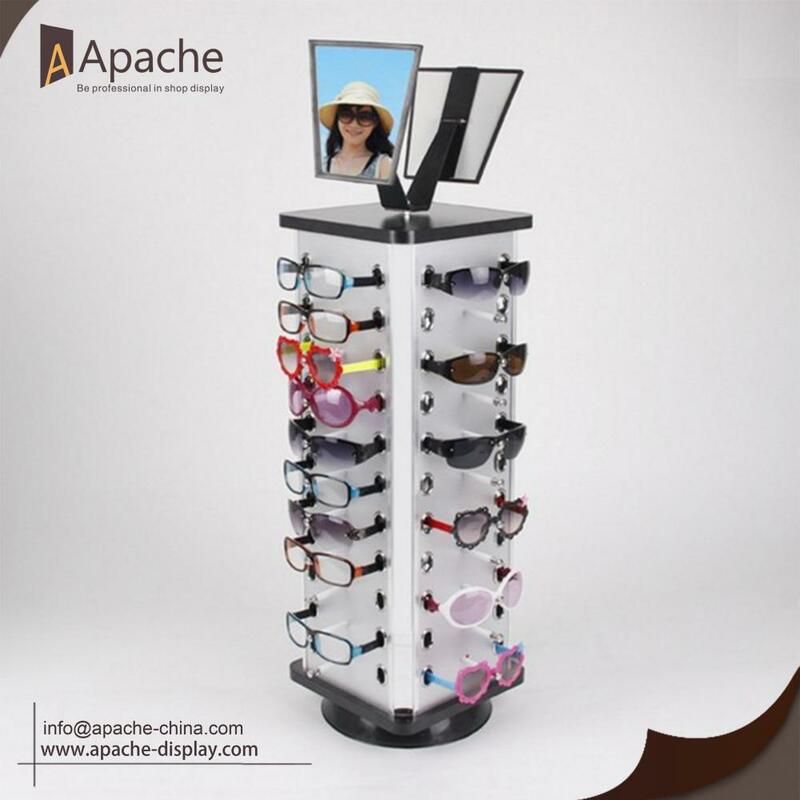 We are China Origin Factory of Rotatable Sunglasses Display Stand. If you have any question, please feel free to contact us.